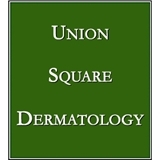 Union Square Dermatology (San Francisco) - Book Appointment Online! Serving the medical, surgical and cosmetic skin care needs of the San Francisco Bay Area. It is our office policy that patients reserve their appointments with a credit card deposit of $75. This deposit will only be charged if the appointment is not canceled 24 hours in advance. Patients are reminded 48 business hours before their appointment. Dr. Zhuang was very knowledgable and professional and helped me quickly and efficiently while still explaining clearly what was going on. Also looked ahead to consider future planning and treatment which was a comforting addition.